What Is A Portable DVD Player? 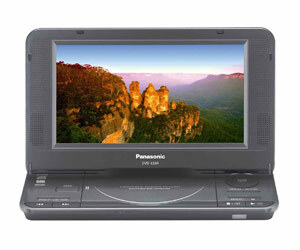 Portable DVD players are simply smaller, lightweight DVD players with built-in screens. They play video and sound from DVD discs the way a normal player would, but since they are designed to be carried around, some different factors need to be considered. One of the most important considerations in purchasing a portable DVD player is battery life. Since most DVD movies are around two hours long, you will need a battery life of at least this time. Most players come with a rechargeable battery included, so you will need to charge the battery before use. Some portable DVD players will include a car charger, so that you can recharge the player while on the move. This is useful on longer trips, although with a lot of players you may not be able to charge the unit and watch a movie at the same time. Portable DVD players that allow you to charge and watch simultaneously will generally cost more. Which Connections Should I Look For? As well as playing DVDs, many portable DVD players can play other types of media, including CDs and MP3s. You can use a DVD player as a substitute for a portable music player by using headphones, or you can play music via the in-built stereo speakers. Some portable DVD players have a USB input, so you can connect your iPod or MP3 player. Other portable DVD players also have output AV connections, meaning that you can connect the player to a TV or home theatre system. This is useful on holiday, as you can watch DVDs in hotel rooms or caravans where there is often a TV set only. In spite of the smaller screen, most portable DVD players display an image in the same resolution as a normal DVD player, so you won't experience loss of picture quality by plugging the small unit into a larger TV. You can also plug the portable DVD player into a home theatre system to enhance the sound quality. What Are Some Other Features To Consider? Screen size: Although they are all designed to be carried around, portable DVD players do vary in screen size. For example, if your player is only for personal use on public transport, a smaller screen size (6 to 7-inch) is suitable. If you are buying one to be watched by more than one person – such as for the kids in the back seat of a car – think about getting a larger screen (9 to 10-inch). Weight: Screen size, as well as the type of batteries used, can alter the weight of a portable DVD player. If you are planning to use it in the car, or to carry on holidays and connect it to a TV, weight won't be such a consideration. However, if you are planning on watching DVDs on public transport, a lighter (smaller) model would be better. Multiple screens: Some portable DVD player models come with more than one screen, which can be separated from the body of the player. This is useful if you are planning to use the unit to entertain the kids on a road trip, as two kids can have their own monitor. 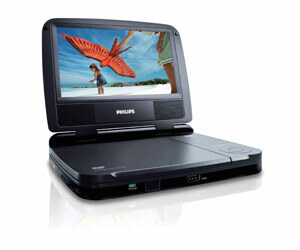 Viewing angle: If the portable DVD player only comes with one fixed screen, ensure that it has a wide viewing angle. With some screens, the image will be difficult to see if you are off to the side. If you intend to have a group of people watching the same screen, a wide viewing angle is important.